The move could be an excellent opportunity for Irish people moving to the US. ON THURSDAY, NEWS came through that Irish citizens could soon get access to thousands more US working visas. It came as a result of a bill that would allow Irish citizens avail of surplus E-3 visas that are specifically for Australians. The visas are for two years but can be extended indefinitely. The bipartisan bill passed the US House of Representatives without the need for a vote so it goes next to the US Senate. Chicago-based Senator Billy Lawless of Seanad Éireann has been lobbying for the bill and told TheJournal.ie that it’s possible it could be introduced as early as tomorrow. Lawless says the bill will be questioned by US Senators and he’s remaining “cautious” about its progress but hopes it will not encounter any major issues. But if it does pass, what exactly will it mean for Irish citizens thinking of moving across the Atlantic? To help answer those questions, TheJournal.ie spoke to Irish-born immigration lawyer Fiona McEntee of the McEntee Law Group in Chicago. McEntee was very enthusiastic about what the bill would mean. It’s great news, it’s something that we’ve been advocating for for years. There’s a group of Irish advocates in the States, like here in Chicago myself and Senator Billy Lawless and anytime any representative from the Irish government would come we would discuss with them several issues, but one of them would be what we call the ‘future flow’ of workers and the E-3 kind of satisfies that. It’s not going to be of any benefit to the undocumented Irish or anything like that but it’s a really exciting option for a lot of Irish people. So what will the bill do and who will it benefit? The bill allows Ireland take advantage of the unused E-3 visas that Australia doesn’t use in the previous year. Australia gets 10,500 of the visas annually but has not been taking up its full allocation, usually leaving about 5,000 each year. The plan would see Irish citizens avail of these. Australia has never come close to using its cap of visas. To qualify for the E-3 there’s all these terms like ‘specialty occupation’ and ‘theoretical body of knowledge’ but basically it’s for positions that require a Bachelor’s Degree or its equivalent in a specific field. So that’s who can benefit from it. Is the E-3 visa different to those that are already available to Irish people? Yes, they’re different because the visas would be specific to Irish and Australians. At present, most Irish people looking to work in the US apply for a H-1B visa. The issue with these is that they’re available to citizens from countries all around the world and are typically oversubscribed. Only 65,000 of these visas can be issued each year and last year the chances of getting one even if your application was up to scratch was about one-in-three. From my experience, it’s not that the employers have a problem sponsoring people. Typically if they find the right candidate they don’t have a problem doing it, the question is what is the visa that they can get. Even if they do everything right and get everything done on time, there just might not be an available option and I think people find that difficult to understand, even Americans. If someone has an employer who’s willing to sponsor them in a specified job, people find it hard to believe that there might not be a visa option available. But that is the reality for a lot of people. So I think this will be really exciting. What about the logistics of moving your family abroad, like will your spouse be able to get a visa? Yes, under the E-3 visas spouses are entitled to get independent work authorisation. This basically amounts to them getting a work card allowing them to work in any field. Children under the age of 21 may also be entitled to accompany an E-3 visa holder. If the new visas are making you think of moving to the US, is the process of getting sponsorship via an employer prohibitive? They’re going to have to go through the job hunt process, but Irish candidates are really attractive to American companies. It’s a really well-educated workforce and I find that employers will be willing to sponsor people if they find the right candidates. It’s about thinking about things in a savvy way, thinking about interviews and tapping into any connections they might have. Obviously it’s easier to get a job through someone, or at least get the interview. Email “Everything you need to know about the new US work visas for Irish people”. 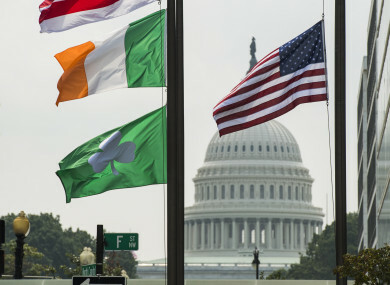 Feedback on “Everything you need to know about the new US work visas for Irish people”.